Mumbai is an amazing city in the state of Maharashtra that has a lot to offer its inhabitants. There is so much to this city other than what meets the eye! In fact, Mumbai is one of the most loved cities in the country today! Panvel is a part of the Mumbai Metropolitan Region (MMR) that goes through immense development every single day! As this location continues to flourish beautifully, purchasing property in Panvel is a decision you will never regret. Panvel is thriving with modern-day infrastructure, wide roads, transport and is well-planned for fast and easy commuting every single day. When it comes down to your daily and emergency needs, you can find and access them all in the shortest amount of time possible. Places like schools, colleges, medical centres, hospitals, malls, shopping centres, supermarkets, convenience stores, cinemas, cafes, restaurants, clubs, lounges, banks, ATMs are just a hop, skip and jump away! Panvel is where you can expect big residential spaces that will be loved by you and every member of your family. Due to a good availability of construction space, residing in Panvel will always make you feel classy and free as the developments are huge and well-spaced from each other. A well-maintained balance between manmade creations and Mother Nature is an added advantage of living in Panvel. Without a doubt, Panvel is a place where you can find good residential spaces that will fit your budget perfectly, with zero compromises on luxury and comfort. If you are looking out for a new home or an investment for that matter, Panvel is the ultimate place to be. Purchasing residential property in Panvel is something that plenty of real estate experts suggest. However, even though the options are many, selecting the right development is essential to live a fabulous life and get better returns in the days to come. 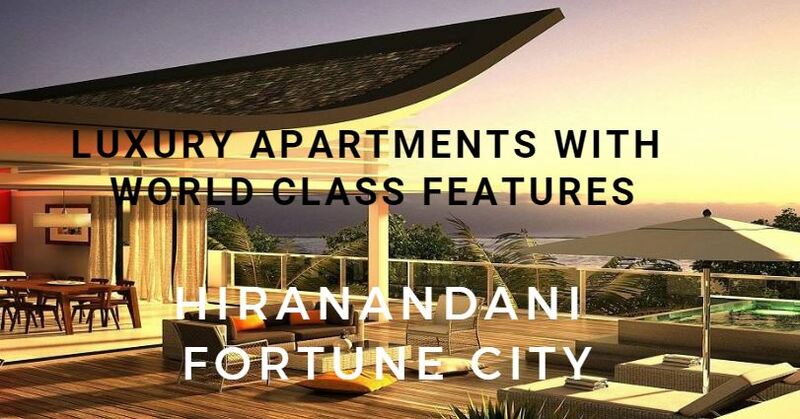 Hiranandani Fortune City is a township project in Panvel, Mumbai by Hiranandani Group that you should definitely consider for a modern-day lifestyle that will blow your mind! This township development offers studio, 1BHK, 1.5BHK, 2BHK and 3BHK luxury apartments with large areas to meet all your needs and requirement. This development offers a wide range of internal and external amenities for a well-endowed lifestyle every day!The apartments are spacious, provide good natural lighting and contain superb fittings & fixtures, premium flooring, vibrant kitchens with multiple provisions, decorative doors, wide balconies and aluminium sliding windows providing landscape views, safety features and so much more. 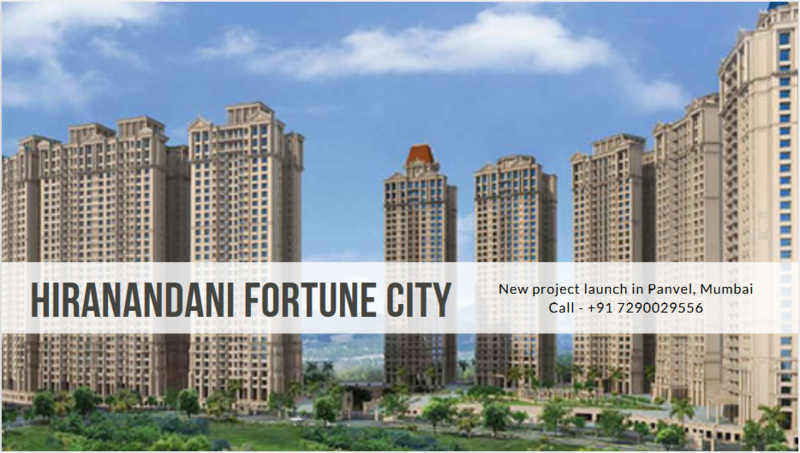 The external amenities at this development are truly world-class and will amaze you! They include sports facilities and a play-zone for kids, recreation facilities, and landscape garden, wide open greens that will always make you feel free, power back and firefighting equipment for emergencies and 24x7 security for total safety. There is something for you and every member of your family at this township development. Starting at a price of Rs.43 lakhs only, the apartment at this development are affordable and simply irresistible!You can choose from various payment plans along with home loan facilities, NRI services and more for a convenient purchase.